Beautiful home in sought after desirable neighborhood has room for the growing family. Main level features formal living and dining, office/study, huge great room with soaring ceilings, stone fireplace, breakfast room, open kitchen with island, gas cook top, electric oven, and large walk-in pantry. Gorgeous wrought iron spindle staircase leads up to 4 spacious bedrooms plus a loft. Grand owner's retreat is a wonderful place to relax and unwind. Master bath with double sink, garden tub separate shower and enormous walk-in closet. Low maintenance landscaping front and back. 3 car garage. Enjoy the walking trails and lush parks in the peaceful Vista Del Norte Subdivision. 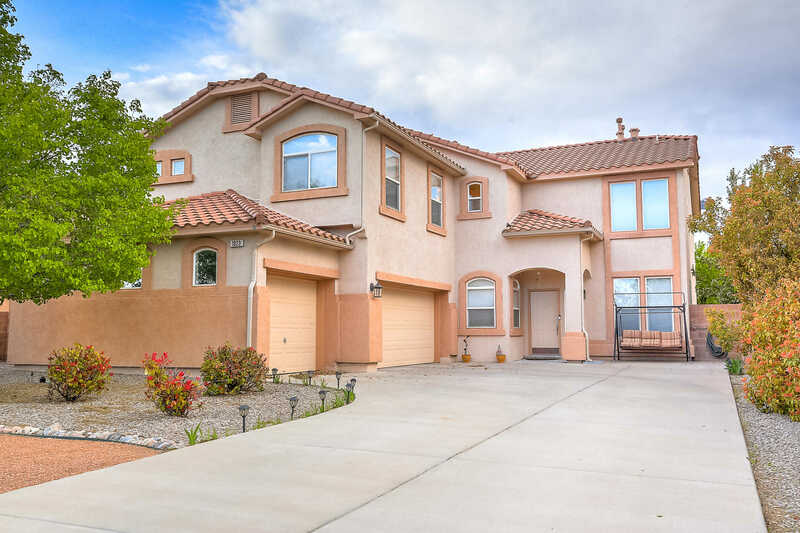 Please, send me more information on this property: MLS# 940914 – $425,000 – 1023 Diamondback Drive Ne, Albuquerque, NM 87113.